Observations: Who’s dumber: Sarah Palin, or the liberals who think she’s dumb? Okay, that’s a rhetorical question. 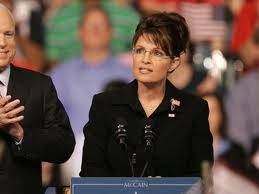 But it is really interesting to watch how people react to Sarah Palin. Mrs. Palin has done as good a job as anyone I can remember at twisting the mainstream media and other liberals into quivering puddles of hyper-frenzied protoplasm. They watch her every move, parse her every word, and ridicule and criticize her at every turn. For the record, I’m more or less neutral where Mrs. Palin is concerned; I’m not one of her legion of raving fans, and I’m not one of the legion of irrational haters. And I’ll give the media and the liberals more benefit of the doubt than they give to Mrs. Palin by saying that she does say things sometimes in a manner that invites negative attention. Okay, that wasn't the smoothest delivery and, hey, everybody knows that Paul Revere warned the colonists that the British were coming, and he didn't warn the British that the colonists were ready for them, right? Well, no, according to several historians, and Paul Revere’s own account. The story we all learned in school is not exactly correct; at least, it’s not the whole story. Still not convinced? Paul Revere himself said in a written account of what happened after he warned the colonists that he was confronted by six British Regulars, and one of them ordered him to dismount and asked him some questions. Asked his name, he replied “Revere,” and the British officer asked if he was “Paul” Revere, and if he was a courier. “I told him … that there would be five hundred Americans there in a short time, for I had alarmed the Country all the way up” Revere said. Sounds like a warning to the British to me. Folks who issue their criticisms judiciously might stop to double-check facts before they criticize, but, given the prejudices and arrogance of the liberals and their brothers-in-arms in the media, that’s not necessary where Sarah Palin is concerned. Her vast body of self-appointed and self-credentialed critics, denigrators, and ridiculers is convinced that the woman knows nothing, and certainly not as much as they know, so they felt comfortable automatically ridiculing her over this statement, no questions asked. You won’t have as easy a time finding stories telling you that Mrs. Palin was essentially right and setting the record straight as you will have finding stories ridiculing her. There are at least two reasons for that: First, those shoot-from-the-lip critics don’t have the gumption to fess up to their unprofessional and idiotic behavior, and second, some of them don’t know enough to realize that they screwed up. Even when confronted with evidence and authoritative support for her account, some folks refuse to accept that she was factually correct. That sort of thing is indicative of a mental disorder: when you are looking at the bark of a tree, but insist that you are looking at a fish, you have a serious problem. This compulsive behavior is another sign of mental trouble. Once again Sarah Palin has shown herself to be much brighter than her detractors give her credit for, and much more savvy than they are.